?A German report has claimed that Stuttgart and France prodigy Benjamin Pavard has already agreed to join? Bayern Munich next season, at which point his €35m release clause will become active. According to SWR Sport, the 22-year-old? World Cup star could even join Bayern this summer, but the Bavarian giants would be forced to shell out around €50m to secure the player’s services. Stuttgart are believed to be keen to hold onto their talented youngster for another season, but may find a highly lucrative offer too alluring to turn down in this transfer window. Je rêvais de gagner des titres et je gagne le plus beau ???? 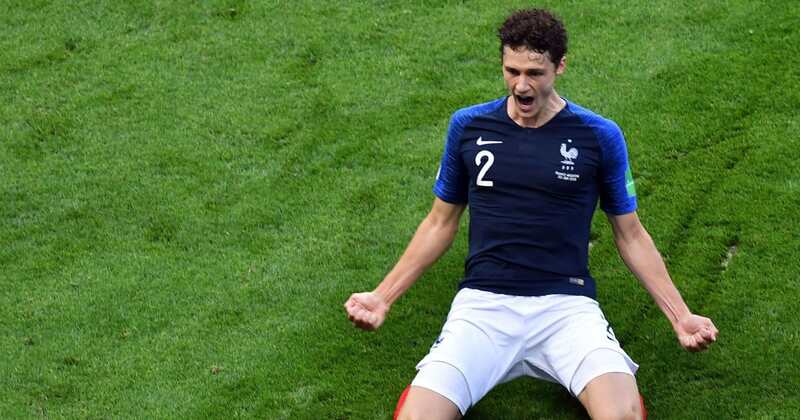 Pavard enjoyed a real breakthrough ?World Cup with France, surprising fans and pundits alike by playing ninety minutes in all but one of Les Bleus’ matches in their victorious campaign. The highlight of his tournament came against Argentina, when his stunning, rifled goal helped his side power to a 4-3 victory over Argentina in their last 16 clash.
? ?The news will come as a blow to ?Premier League side ?Tottenham Hotspur, who were believed to be eyeing up the defender as replacement for Toby Alderweireld. Given Mauricio Pochettino’s reputation for developing young talents, Spurs fans will be gutted by the news that they’re set to miss out on a player with as much potential as Pavard. In other news, Bayern Munich striker Robert Lewandowksi has claimed that the speculation linking him with a summer move to the likes of ?Real Madrid and Manchester United hasn’t effected him, despite his disastrous World Cup campaign with Poland. The 29-year-old could yet leave Die Bayern this summer, with a new career challenge waiting on the horizon.
? ?Bayern Munich striker Robert Lewandowski has claimed that widespread rumours of a summer exit from the club haven’t affected him, despite his deeply disappointing ?World Cup campaign with Poland. “I didn’t think about it [during the World Cup] because I’ve been playing football for many years and this sort of situation has happened with all my transfers. It still remains unclear whether the Polish goal machine will remain at the club for another season, as a move to either? La Liga or the ?Premier League could prove an exciting move for the player. Having won four league titles on the trot with his current side, Lewandowski could well look to move on in order to pursue a new challenge. In other news, ?B?ayern could be set to sell their promising young winger Kingsley Coman to Arsenal, with French reports claiming that the Gunners have stepped up their interest in the 22-year-old sensation. 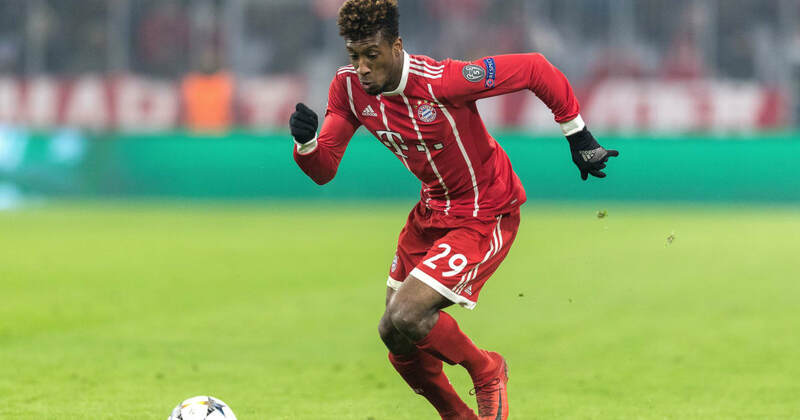 Despite his relative youth, Coman has already won five league titles across three major divisions, and still has his best years ahead of him as he continues to develop. ?Manchester United appear to be changing their targets in the final three weeks of the transfer window if the latest Old Trafford gossip is to be believed, with Bayern Munich pair Robert Lewandowski and Thiago Alcantara reportedly replacing Gareth Bale and Toby Alderweireld. United were dealt a blow in their long standing hopes of finally signing Bale this week when it was reported that new Real Madrid coach Julen Lopetegui plans to inform the Welsh superstar that he will feature in his plans at the Bernabeu this coming season. As for Alderweireld, there was speculation in early June that United were having doubts over price, especially considering that the Tottenham man is due to be out of contract in 2019. Whether United will actively target another centre-back remains unclear, although it was suggested earlier this month that England’s Harry Maguire has emerged on the radar at £50m. According to The Independent, United are now ‘considering’ potential deals for Lewandowski and Thiago, two players whom Bayern are apparently willing to sell. Thiago, who came close to joining United from Barcelona in 2013, was named on a list of four Bayern players published at the end of May that the German champions were said to be ready to let go for the right price – Jerome Boateng, Arturo Vidal and Juan Bernat also featured. German publication Bild, the original source of that story in May, has published another similar report on the futures of those same players – Thiago, Boateng, Vidal, Bernat – just this week. Where Lewandowski is concerned, speculation has made his Bayern future increasingly uncertain. But while Real Madrid was once the obvious destination, the Spanish giants have been more heavily linked with Eden Hazard and Kylian Mbappe since Cristiano Ronaldo left. United have been searching for a new striker to provide support and/or backup for first choice ‘number nine’ Romelu Lukaku, with the bulk of the rumours so far focusing on Juventus front-man Mario Mandzukic. Whether Lewandowski is the right player for that role seems unlikely.
? ?Arsenal’s summer recruitment drive has effectively reinforced each of the key areas which have proven to be the Gunners’ achilles heel in recent times. Whilst the defence-minded areas were inevitably the Gunners’ priority for strengthening this summer, attention may now turn to bolstering the attacking ranks at the Emirates, with ?Kingsley Coman a name being widely linked with a switch to north London in recent days. The links primarily originated with a report from ?beIN Sports, with the news having swept much of the media landscape and generated a considerable deal of excitement among Arsenal fans at the prospect of the ?Bayern Munich winger arriving at the Emirates. This would be one hell of a signing, I rate this kid so much ??? Would be another very good signing ? If Arsenal were to bring Coman in, he would be their sixth signing of the summer.?? ?James Rodriguez will not end his loan stint with ?Bayern Munich a year early to rejoin ?Real Madrid, according to his agency, Gestifute. ?Earlier reports had suggested the 27-year-old was looking to make a return to Real next season with a clean slate, but the player’s representatives Gestifute have told ?ESPN that a change in plans is not possible as neither club can break the agreement they struck last year. The Colombia international secured a La Liga title, Champions League crown and two Club World Cup’s with the Spanish giants prior to departing for his loan move.